Selling your house at auction is becoming more popular and is great if you are looking to achieve a quick sale. 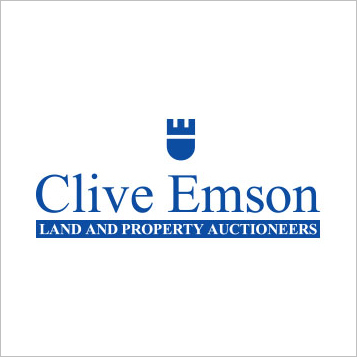 This is why Stacey Mann Estates have teamed up with Clive Emson auctioneers to offer our customers this option. Being one of the leading property and land auctioneers in the UK, with Graham Barton MRICS and Katie Semmens taking the lead of the West Country. Graham has been an auctioneer in the West Country for nearly thirty-five years selling an estimated quarter of a billion pounds worth of lots in his varied career. Since 1995 Graham has been a full-time auctioneer of property and land, has many times championed the West Country as a place to live and work via appearances on BBC1s Homes Under The Hammer. If you have an unusual or dilapidated property, you may find it difficult to advertise to traditional house buyers. Auctions however, attract a different variety of property buyers, such as developers and experience landlords with different needs and requirements, who aren’t put off with problematic properties. Selling property at auction can create a abundance of interest from a number of potential buyers which can soon drive up the price, especially when the auction room is full of property buyers who don’t want to miss out on an opportunity to buy property quickly, and below market value. Stacey has always enjoyed putting properties to auction and is very knowledgeable in this area. If you are thinking of auctioning your property or would just like some advice or questions answering do not hesitate to contact the office. Stacey Mann Estates has one of the lowest fees in Penzance and offer a free market appraisal to sell your home. Stacey has over 20 years experience, a huge knowledge of Penwith and born and bred in Penwith, Cornwall.